Hands Pike to south on Hideway. Open House Sunday (9.9) 1-3pm. Beautifully updated home has so much to offer! 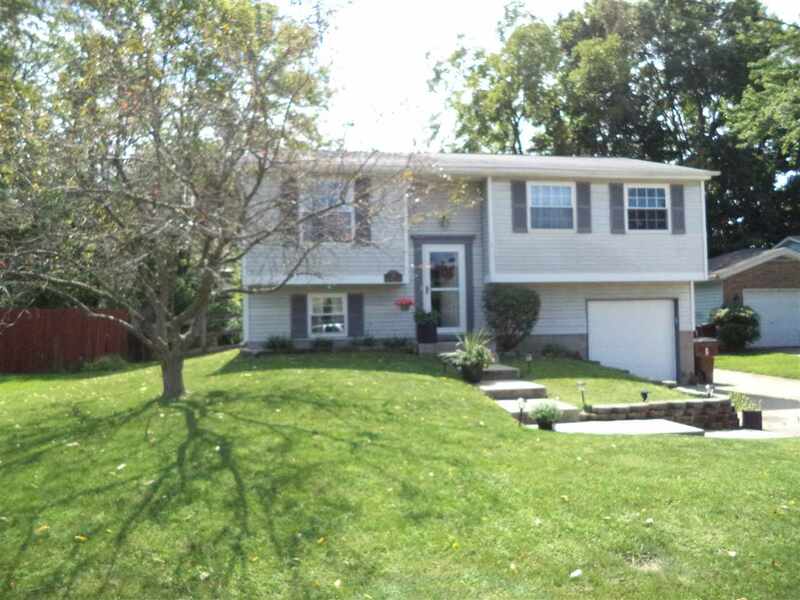 The home sits on a deep wooded, flat lot at the end of the cul-de-sac. Features included newer carpet and tile flooring, tile backsplash, newer appliances, new garage & front door, 8 year old roof, finished lower level with rec room, mud room, and laundry room, fenced backyard with large deck, and double wide driveway!